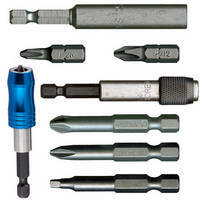 Fastening Tools suit light industrial and MRO applications. 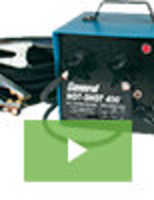 Machined from high-grade alloy steel and heat treated to provide non-brittle toughness, Apex Geta Tools are suited for construction, light industrial assembly, and general maintenance and repair applications. Line includes TorxÃ‚®, Phillips, Square, Torq-Set, and Slotted insert and power screwdriver bits as well as magnetic bit holders, magnetic sockets, nutsetters, and extensions. 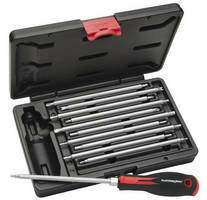 Screwdriver Kit affords versatility via 22-in-1 functionality. Screwdriver helps solve problem of missing bits. 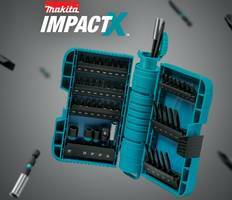 Impact Drill/Driver Accessories have Â¼ in. quick-change shank. Combo Driver Bits work with Phillips and Robertson screws. Tool Bits are color-coded by screw type and size.